Lots of great feedback and interest in the first two Getting the Deal blogs, so here we go again with some more great insight into applications that can save you money through your smartphone. The number of applications either serving or that will be serving this market is growing rapidly so as consumers we can take advantage of as many of these opportunities as we can. No shortage of chances to save money across our personal retail shopping area. What do I mean by personal retail shopping area? As a consumer, we have established our own footprint for where we spend money. We have determined a certain travel radius that includes different types of retailers to satisfy our breadth of needs. Included in your “shopping area” are grocery stores, drug stores, warehouse clubs, health clubs, spas, salons, car repair shops, books, electronics, restaurants, sports bars, clothing stores etc. We now have the same shopping area on-line as well. The on-line retailer provides us with in-home comparative shopping, product selection, ease of use and great convenience. Together, each one of us has established of “footprint” for where we spend our hard earned money. 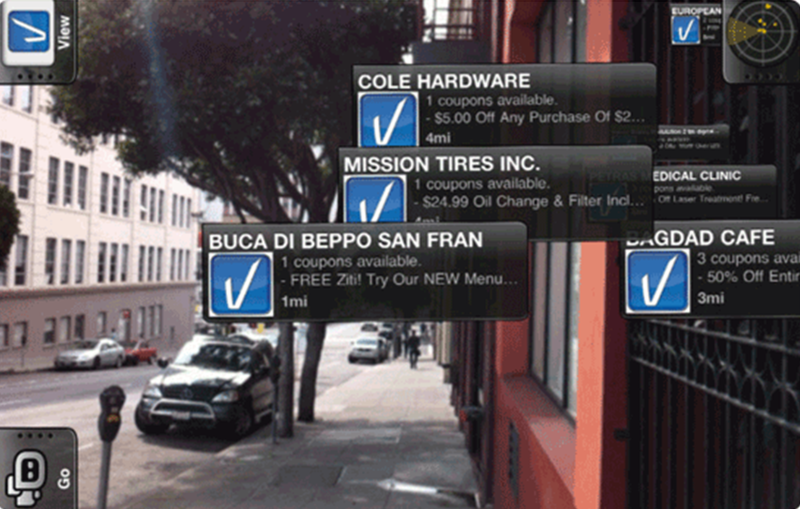 Valpak’s mobile apps allow users to see coupons overlaid onto their phone’s camera, as well as a map. AT&T’s ShopAlerts and O2’s Priority Moments services can alert the networks’ customers to exclusive offers and deals based on their location. BiteHunter is an app which searches restaurant portals and social networks to show users nearby dining deals in real time. While for those looking for a last minute hotel, Priceline launched its Tonight-Only iOS app in September 2011. ThinkNear automatically generates coupons during businesses’ slow trading hours. When such periods occur, ThinkNear automatically generates coupons for nearby consumers, either as ads in mobile apps, or direct real-time alerts to those who’ve opted in. Aisle 411 is a shopping app that helps shoppers find where products are located in stores, and delivers available digital coupons to users’ smartphones. As you can see there is a lot of very cool stuff out there that helps to save us money. Download a few of these applications and let us know what you think by providing feedback below. Good day swebman! Hope all is going fine. Just wanted to leave a comment on how much I enjoy you site. It has good content and is easy to navigate. Keep it up!